Home M.A.R.S. In The News M.A.R.S. Parrots on Pinterest! 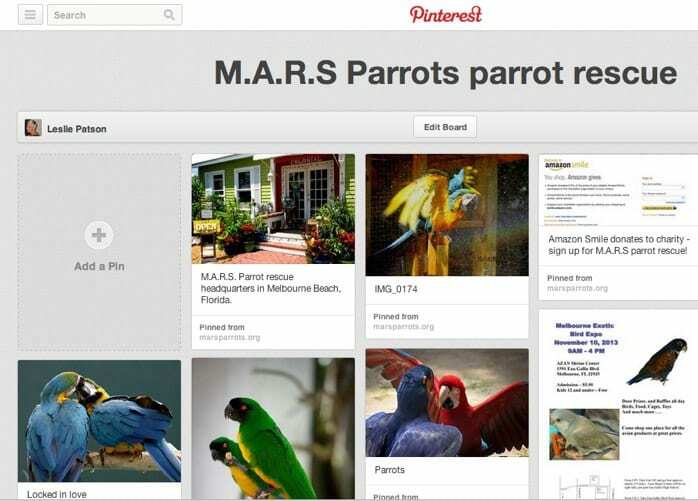 For those of us who can’t get enough of looking at gorgeous parrot pictures M.A.R.S now has a page on Pinterest! Check out our page (created by my sister Leslie and fellow Parrot pinner! ), follow our board and REPIN to help spread the M.A.R.S word!